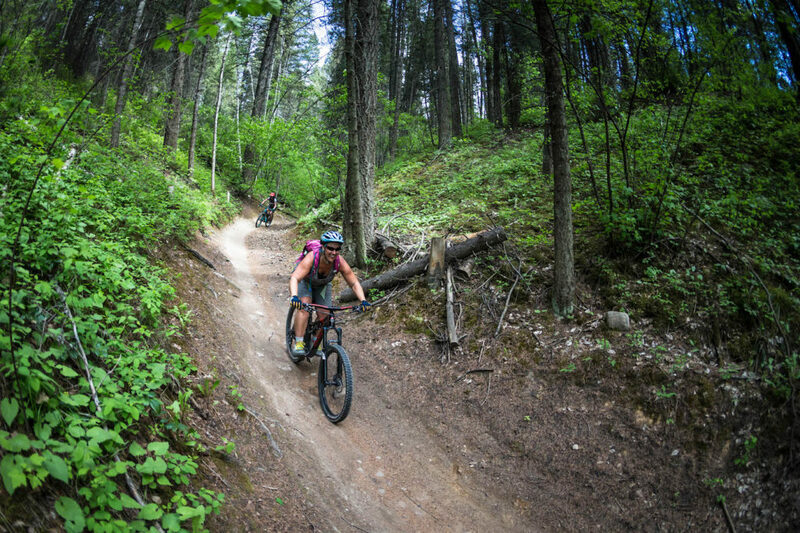 If you’re living Rockies or by the edge of the Rockies right now you might think Summer is a myth; however, everyone seems to be over winter a making their way into the bike shops. People are shopping for the perfect trail machine to get out and dirty this season, but if you’ve never purchased a bike nor ridden one it can be a pretty intimidating place to start from. What size do need? What are all these wheel sizes? Do I need a dropper post? Carbon or Aluminum? Let me give you a quick run down to help you select your new best friend. One of the best quotes I’ve heard for selecting a bike is to “buy the one you can afford”. You can take this statement two different ways and both are important to me. The first interpretation is that you should spend what you can afford while keeping in mind that you would actually like to have the time to go ride! If you spend all your money on a slick new set of wheels but can’t afford the time or gas money to ride your new sparkly you might as well have gone with the ‘Canadian Tire Special’; at least then you can get a couple laps around the local duck pond. The next interpretation is that you should spend as much as you can on a bike keeping the above in mind. Bikes are not like skis, or kayaks, or climbing shoes; you can learn to be a pretty rad skier on a pair of older carving skis without too many hindrances but a good bike makes the learning process a whole lot easier! When it comes to bikes you really do get what you pay for! 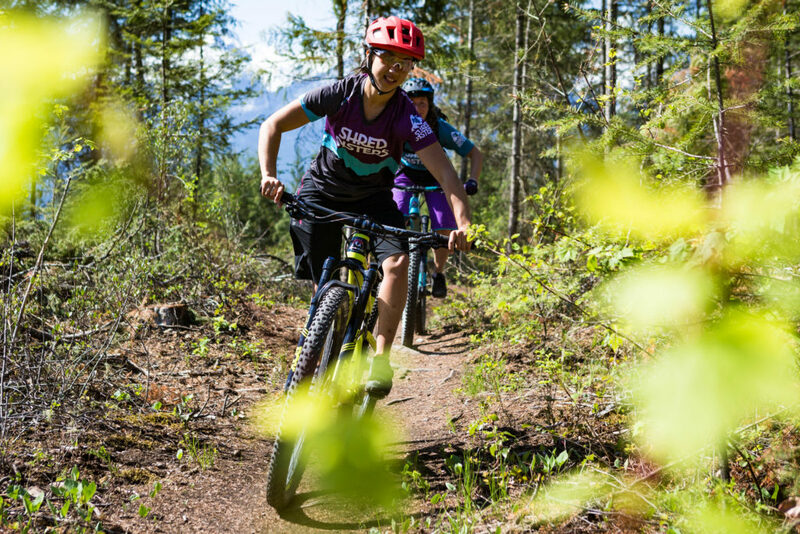 Better brakes mean you’re not terrified of being unable to stop on steeper slopes, better suspension means you’re not bouncing off your bike with every root you hit, and a better drivetrain means you do half the work with more efficiency. Yes, I work in a bike shop and it doesn’t hurt when you drop your pay cheque on a bike; however, I see so many customers spend all their money on their bike and leave very little time to ride. If you’re a bit shy to the whole thing, a used bike is a good call as long as you have someone bike savvy to look it over to unsure on your first ride it’s not going to blow-up on you! 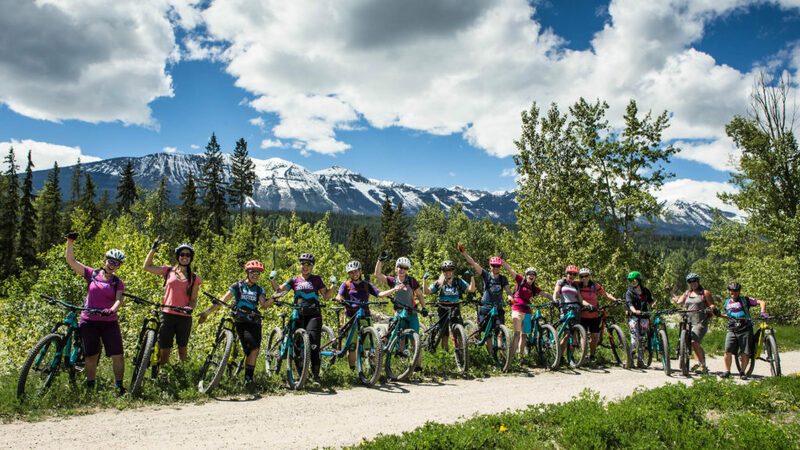 There are a few different types of bikes and for this blog I’m going to break them down into the flowing: Hard Tails, Cross Country, All Mountain, Enduro, and Downhill. A Hard Tail is a bike without rear suspension but still has a fork in the front to help absorb obstacles. Hard tails are going to be your best option if you’re looking to spend under $2000 on a new bike. If you have never been mountain biking before and you just want to get your toes wet a hard tail is a great option; you can get out on entry level trails, still learn great technique, and have a great bike to commute with. I would highly recommend getting a plus size tire bike if your getting a Hard Tail for trail riding. These are just bikes a wider tire and rims which allows for better stability, rolling efficiency, and grip. At my shop, the Rocky Mountain Growler has been a customer favourite if you want to check out a great example of a plus size Hard Tail. 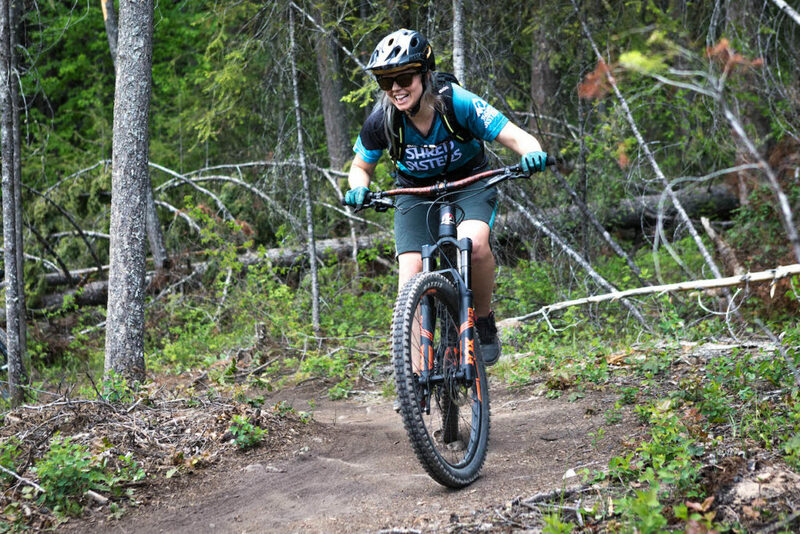 An Enduro bike is designed for riders who are mainly concerned with the downhill performance of their bike; they have more travel, beefier suspension and componentry, but are still designed to pedal up hill. They’ll never be quite as efficient as a Cross Country bike on the climb but the Enduro bikes coming out these days are still a dream to climb on compared to classic Downhill bikes. 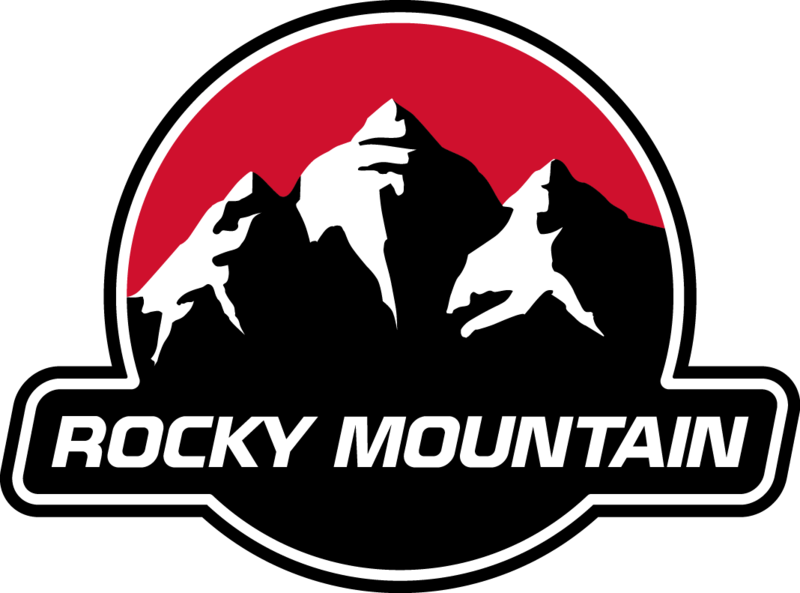 For example, the Rocky Mountain Slayer has dominated in how well an Enduro bike can perform for climbing. This would be an excellent choice for someone who wants to spend a lot of their time riding a chairlift up the ski hill but still enjoys pedalling around their local mountain bike trails. A Downhill bike is just that; it’s designed to go downhill! There is no intention for a Downhill bike to be pedaled up a steep 30-minute climb or to commute around town with. They have lots of travel and a very slack geometry. 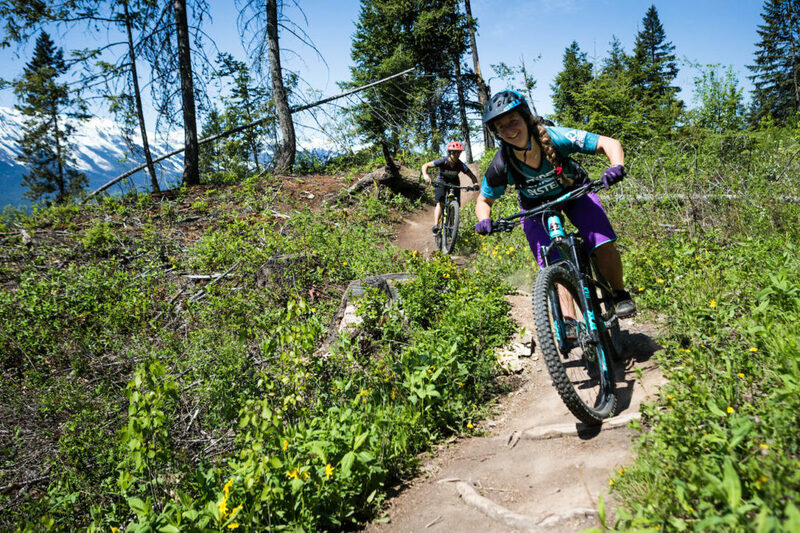 They are excellent for spending your days in the bike park or on the ski hill; Downhill bikes are designed to take a beating! Beginner riders often get sucked into buying second hand Downhill bikes as they can be dirt cheap and be “full suspension” but trust me you’ll be struggling to get one of those heavy bikes up even the easiest cross country trails. On that note, should you buy new or used? A used bike isn’t a bad idea if you both shy to the sport and shy on cash. If there is a bike your interested in have a bike savvy friend or local shop take a look at it for you before purchase it. Sometimes a second hand bikes needs more work and parts than is worth your time and money. As for a new bike, you don’t have to worry about what wear and tear was put on them and you’ll have some sort of warranty provided by the company. Even better yet, if you buy from your local bike shop you’ll have the full support of bike mechanics and professionals to help set up your bike to your needs, deal with any warranty issues, and give you tips on bike maintenance and cleaning. Support your local bike shop and reap the benefits! 27.5” Wheels: To me, they’re the comfortable middle ground of wheel size. They’re the not too big, not too small, well adaptive option. They give you better rolling efficiency (roll better over obstacles and faster on flats) and are still nimble on corners. 29” Wheels: An excellent selection if speed is the name of the game. They’re fast and efficient and make you feel like your riding a monster truck when riding over roots and rocks. However, they have two draw backs: they are more difficult to corner and if you are already vertically challenged you are that much farther off the ground! Not highly recommend for us shorties! How much travel do I need? Or even, what is travel? Travel is how far the suspension on your bike is able to move in order to cushion the force of whatever obstacle your bike is dealing with (roots, rocks, drops). In simple terms, the more travel the cushier the bike can be. If your planning to stick more cross country, with less obstacle and sharp descents then a bike with 100-120mm of travel should be right for you. If your planning on starting on the downhill slopes or the Ski Hill is your new stomping ground then you’ll be looking for something in the 160-200mm range. More suspension equals more cash! The more travel your bike has the more expensive it will be. I get asked all the time “do I need a dropper post”. I tell customers that dropper posts are ‘bike candy’: you can live without them but once you have one you’ll never go back. There is nothing saying you can’t stop and manually adjust your seat-post height out on the trails, but once you have one the convenience is hard to live without. Dropper posts are addictive and helpful if you ride in an area with lots of short rolling hills in succession. Carbon or aluminum? Honestly for most higher end bikes the difference is just over a pound in weight; so if light is your main goal carbon is for you but it will take a chunk of your pocket book with it. They both give a different feel to the bike, but if you at that level of riding this article is probably old hat to you! What is my best advice for you? Test rides! Go try the bike! Go to local demo days or talk to your local bike shop. If you not sure what bike you should get you’ll know straight away after going for a short ride. Test rides are your greatest allies; if it doesn’t feel like your riding the stallion of your dreams go try something else! Don’t take my work for it! Go ride bikes!